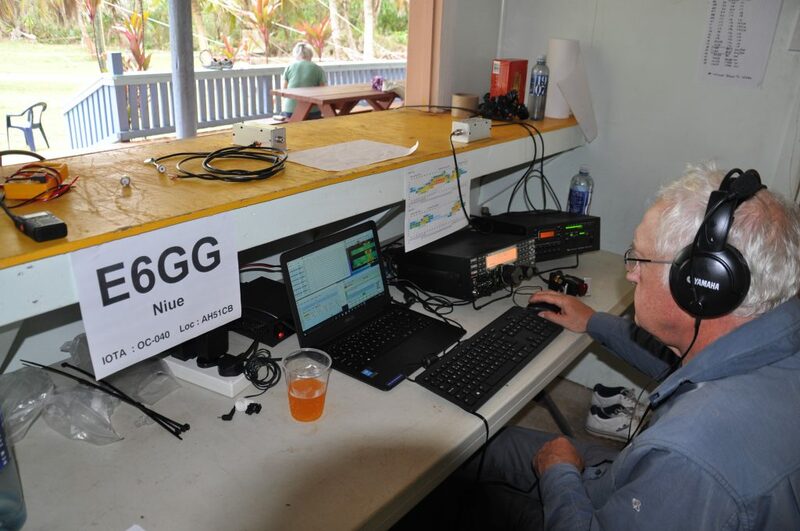 E6GG used four Elecraft K3 transceivers with linear amplifiers – three KPA 500 and one SPE Expert 1.3. Bandpass filters ensured minimum inter-station interference. Transmit antennas were optimised to take advantage of the cliff-top location, where the performance of verticals is poor (they need to be at the sea edge). So we used high dipoles on the cliff top and verticals for the lower bands. Power came from the normally reliable Niue power system and we were sufficiently far away from other buildings that noise problems were avoided. The equipment was housed in a large village hall, built near the cliff edge, and some 500m from our living accommodation.